U For Change | Stitched Up! 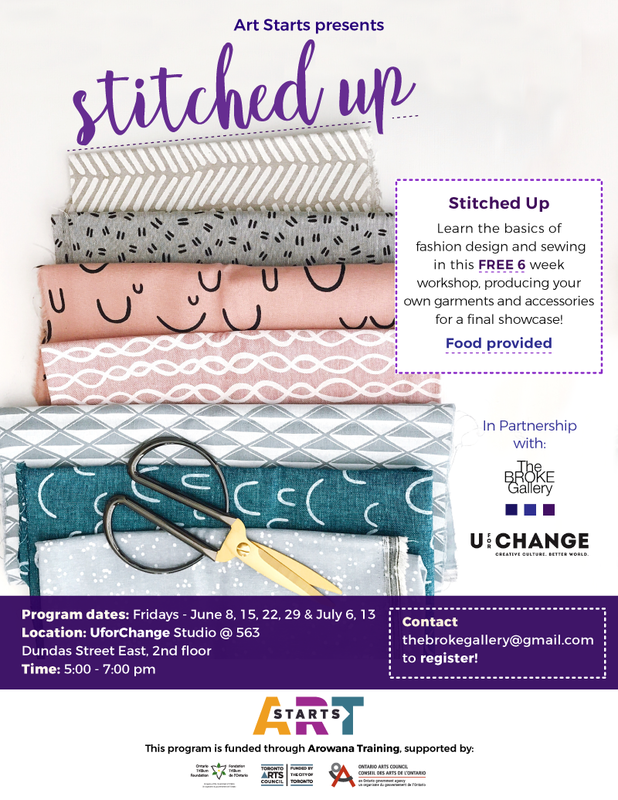 UforChange Alumni Keisha will be running a free 6 week workshop on the basics of fashion design and sewing! By the end of the workshop, you will be able to produce your own garments and accessories for a final show! If you’re interested please contact thebrokegallery@gmail.com to register!